Recently, it was announced that the US Federal Bureau of Investigation was probing several "criminal enterprises" associated with the Palestinian Islamic group Hamas. The investigation, reportedly undertaken at the request of a "foreign intelligence services. FBI director for counterterrorism John Pistole, testifying before a hearing n the House Subcommittee on Oversight and Investigations, said that the investigation led to the thwarting of four separate terrorist attacks--resumably in Israel, though the country was not identified. Investigators traced financial transactions of people preparing terrorist strikes and came up with "specific and identifiable information regarding the parties involved," he said. "Based on this information, the foreign intelligence agency was able to locate the members of terrorist cells and prevent them from conducting their intended terrorist attacks." Hamas was not long in reacting. 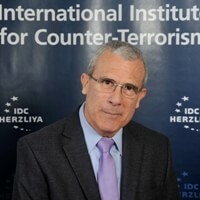 One of the movement's senior political leaders, Dr. Abd al Aziz Rantisi published a written statement on Hamas's official web site calling on Muslims all over the world to wage an economic Jihad against the United States. Muslims must recruit their financial resources and capabilities to strike and weaken the U.S economy. American-made products must be boycotted, he said, and urged Muslims to offer any kind of possible financial aid and support to the Mujahedin (Muslim warriors) fighting for the sake of Allah. In his statement Rantisi said that hatred of America is a religious duty for all Muslims. Targeting the American economy, he said, will weaken the U.S. and hasten the "inevitable" defeat of American forces in Iraq. This, in turn, will cause the U.S. to halt is "continuous war on Islam." The notion of an economic Jihad is not new. Following the September 11 attacks in the U.S. Al-Qaida came out with a series of official statements, introduced the notion of economic Jihad. According to al-Qaida, targeting the U.S economy is one of the main pillars in Bin Laden's strategy of confronting the west. See Analysis of Recent Al-Qaida Documents, Part 1. It is significant that Rantisi, a prominent leader of the Islamic Hamas organization, is now adopting the very same radical Islamic ideology advocated by bin Ladin and his Front for Global Jihad. This development is part and parcel with a growing trend among Islamic groups, including the Palestinian organizations. Like other radical groups around the world, the Palestinian Islamic movements are "buying into" bin Ladin's ideology of global--not just local--Jihad. It is safe to say that, on the background of the continuing Palestinian "intifada," we can expect to see an increasing "Bin Ladenization" of Hamas.